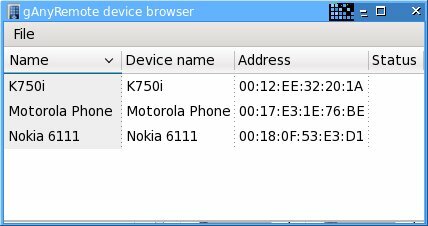 Isn't it beautiful, you can control your computer from your mobile phone. With the help of your phone you can control which song to listen while lying on your bed. All your phone need is Bluetooth or InfraRed or Wi-Fi. To do so first of all install anyremote. 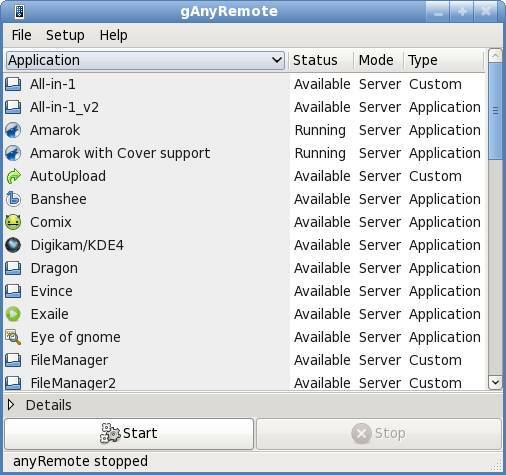 You can also use ganyremote or kanyremote which are graphical frontend for GTK and KDE respectively. In your Ubuntu Software Center search for anyremote and install it. 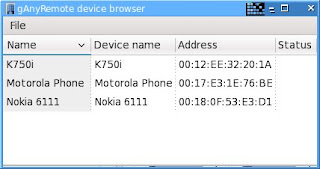 We'll configure anyremote in server mode, if your phone supports AT mode you may want to try that as well. If you are confused on which mode to choose click here. We'll use Bluetooth for connection. Make sure that your phone and computer is paired. If you don't know how to, here is a short instruction. In Bluetooth setting make your phone visible. Follow the on screen easy instruction. 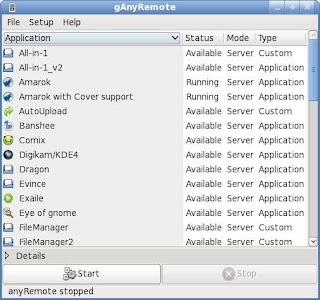 Install anyremote software on your phone. You can download it from web http://anyremote.sourceforge.net/dload.html or use anyremote frontend to upload it on your phone. You can use other configuration file from /usr/share/anyremote/cfg-data/Server-mode/ depending on your need or you can write your own. Now open the anyremote client on your phone. Go to Menu and Click Search. It will find your computer and select connect from menu again. Depending on your configuration file you can choose action to perform remotely. Thanks for a nice post. I could connect my Samsung Galaxy II to my Ubuntu 11.04 ACER A150h netbook via bluetooth. Now the phone shows a Plus sign, a question mark, and a stop sign, that respond by chance only. the plus sign opens a page that lists the available application and clickinh them nothing happens. Looks like your configuration file has some problem. Can you check it once?